Ezra just turned 3 and is in preschool! We pack lunches every night for him and I'm always looking for cute new ideas for something I know he'll actually eat. I've partnered up with Clover Sonoma to use their Organic Cream on Top Maple Whole Milk Yogurt in a fall-inspired parfait. 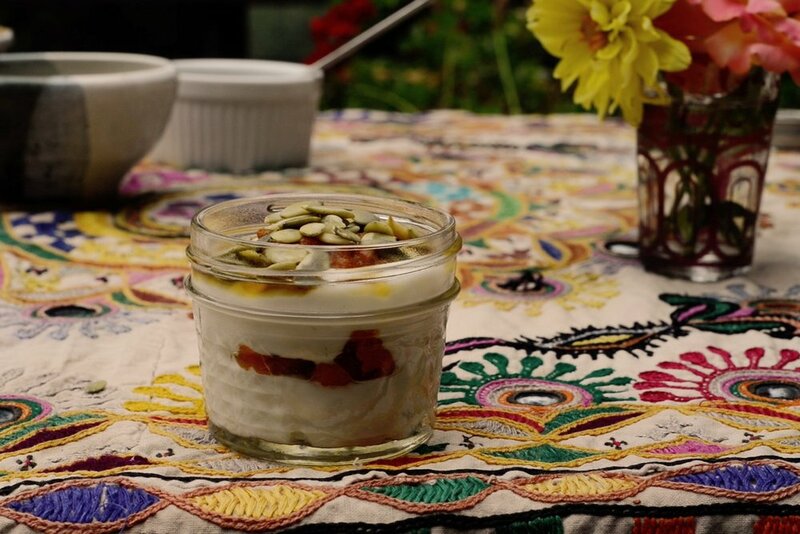 It's just 5 ingredients layered in a mini mason jar: yogurt, pumpkin purée, cinnamon, maple syrup, and pumpkin seeds. I used unsweetened canned organic pumpkin purée, but you could bake a pumpkin, kabocha squash, or butternut and use some mash from that. I've been eating Clover dairy products my whole life since they are from Sonoma County, where I grew up. I really trust them! They are a certified B Corporation which means they adhere to rigorous environmental, social and sustainability standards. They treat their animals well and deliver a very clean (and delicious!) product. This is fun to pack for lunch, and would also be perfect for an after-dinner treat. It could also be made in small ramekins if enjoying at home. Starting with the yogurt, layer all ingredients in a 4-oz mason jar. Sprinkle some syrup and cinnamon on top and close with a lid. Keep refrigerated until ready to eat. A little note for his lunch bag. Now this is fun: Clover is doing a giveaway! For a chance to win a back-to-school prize package valued at over $200, share a photo of your child's school lunch with the hashtag #ItMatters and tag @cloversonoma on Facebook/Twitter or @clover.sonoma on Instagram. This post was done in partnership with Clover Sonoma, a brand I have been using, loving and trusting for years. 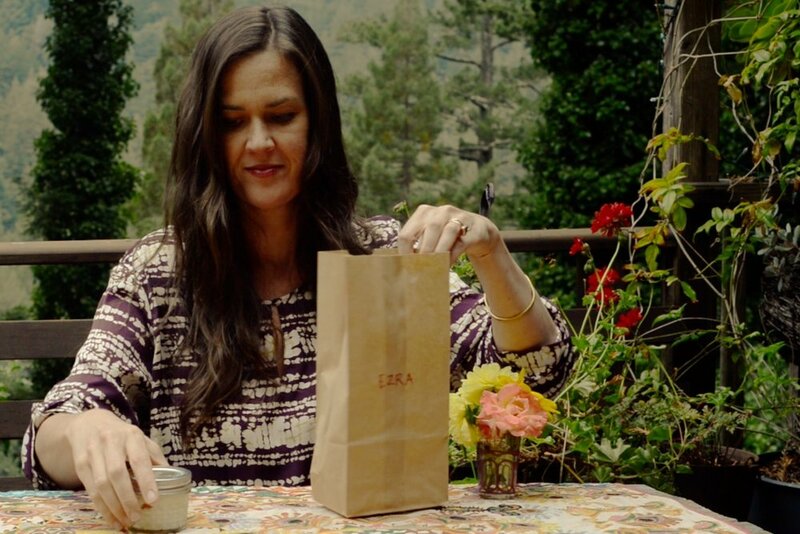 Thanks for supporting the brands that help keep The Forest Feast going!